Virginia’s Shenandoah Valley offers verdant pastures, rolling hills, and quaint towns carved into the majestic Blue Ridge and Allegheny Mountains. In a world where technology instills a feeling of constant hurriedness, the Shenandoah Valley provides a chance to escape and reconnect with Virginia’s endless natural beauty. The Potomac and James Rivers bound this two hundred mile stretch of fertile farmland and striking mountains. For those lucky enough to experience the fabled Skyline Drive and indescribable Blue Ridge Parkway, time seems to stand still; the Shenandoah Valley, known as the “Daughter of the Stars,” offers total immersion in nature, and the rare chance to disconnect and rediscover peace of mind. Once nicknamed the “Breadbasket of the Confederacy,” the Shenandoah Valley offers a wealth of cultural and historic amenities which allow visitors to discover America’s proud roots first-hand. The awe-evoking mountain ranges play home to several major Civil War battlefields and Revolutionary War sites, and many area buildings date back to the 1700s. Here, historic homes are located amid the spectacular protected mountain views of the Blue Ridge Mountains, within close proximity to award-winning golf courses and year-round resorts. “The Big Valley” boasts not only to charming bed-and-breakfasts, but renowned hiking trails and noteworthy horseback riding. 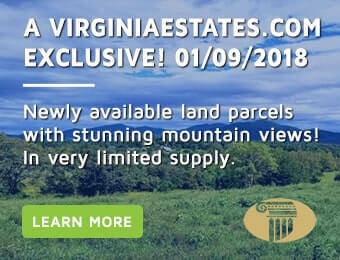 Those looking for the essential elements of pastoral beauty, a balanced climate, and a rich history need look no further than the striking Shenandoah Valley.